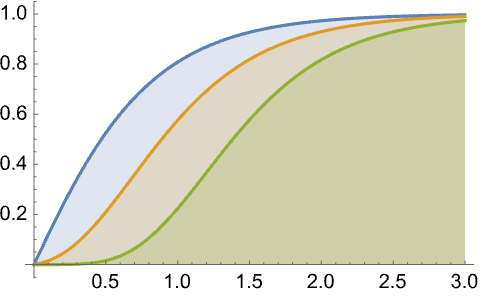 represents a shifted Gompertz distribution with scale parameter λ and shape parameter ξ.
ShiftedGompertzDistribution has been used to model technology adoption over time. 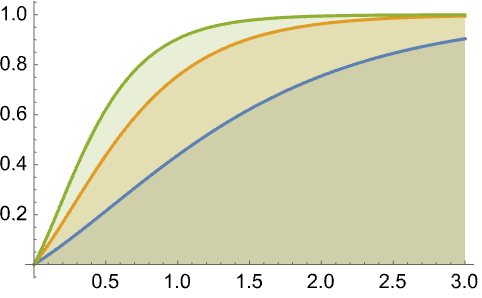 The cumulative distribution function for value x in a shifted Gompertz distribution is given by for , and is zero for . 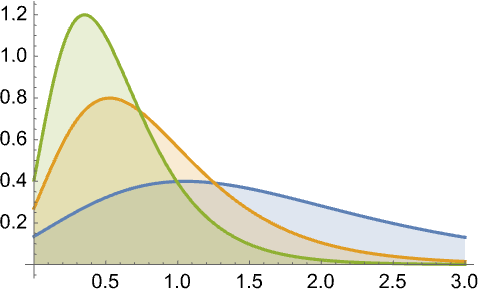 ShiftedGompertzDistribution allows λ and ξ to be any positive real numbers. 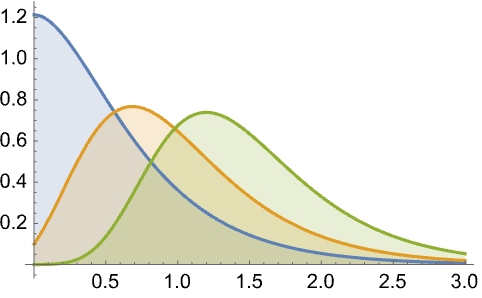 ShiftedGompertzDistribution can be used with such functions as Mean, CDF, and RandomVariate.